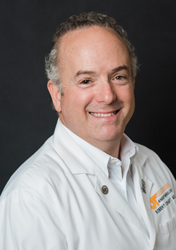 Robert M. Craft, MD, long-time faculty member and former resident, has been appointed chair of the Department of Anesthesiology at the University of Tennessee Graduate School of Medicine, Knoxville. James J. Neutens, PhD, Dean of the Graduate School of Medicine stated, "Dr. Craft's qualifications are exemplary of our mission for excellence in education, healing and discovery. We look forward to the continued success Dr. Craft brings to the Department as well as the institution." Dr. Craft joined the Department in 1994 as assistant professor following a fellowship in Neuroanesthesiology at Mayo Clinic. Since that time, he has been promoted to professor and has served as departmental vice chair since 2006 and residency program director since 2008. He is also section chief for Neuroanesthesiology and Pre-Operative Evaluation. During his tenure, Dr. Craft has been deeply involved in resident education institutionally and nationally. As chair of the Department’s Education Committee for the past 12 years, Dr. Craft has helped move the residency from a 3-year program of 21 residents to a 4-year program of 32 residents. The program has also maintained a maximum ACGME review cycle for the past decade. Nationally, Dr. Craft has served the American Board of Anesthesiology as a Written Exam Editor. He is the Anesthesiology representative to the Organization of Program Directors Associations, and he is a council member of the Association of Anesthesiology Core Program Directors. Dr. Craft is also instrumental in faculty education and leadership. He is an inaugural member to the UTGSM Academy of Scholars. In 2013, Dr. Craft completed the Physician Leadership Academy, a year-long education program provided by the Executive Education Program of the UT College of Business Administration. He also serves on the UT Health Science Center Faculty Senate and the internal Academic Appointment, Promotion and Tenure Committee. 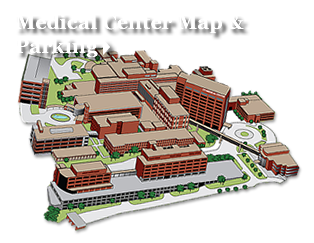 At The University of Tennessee Medical Center, Dr. Craft has practiced in nearly every subspecialty of anesthesiology for 21 years, and he has been named a Top Doc for the region by his peers in Cityview magazine for the past nine years. As medical director of the Pre-Operative Evaluation clinic for 18 years, he has helped to greatly improve and expand the pre-operative evaluation of patients, including the implementation of the institution’s first fully electronic patient care area. In research, Dr. Craft was recently instrumental in expanding the Anesthesiology Research Division by recruiting international neuroscience experts to conduct groundbreaking research to better understand the brain and consciousness. Dr. Craft also leads research on blood and blood coagulation, currently focusing on disorders in stroke and trauma patients. Over the past 15 years, his research has garnered approximately $850,000 from industry and peer-reviewed grants. Nationally recognized for his expertise, Dr. Craft has written book chapters for the second, third and fourth editions of Anesthesiology Review, considered the most comprehensive and informative anesthesiology review text. Dr. Craft also lectures nationally, he serves as reviewer and moderator for international societies, and he has published multiple articles in peer-reviewed journals.